PoolParty provides you with easy and highly effective solutions for your data-based business transformation. Focus on available data, transform your insights into actions and leave your competitors behind you! PoolParty lets you generate very flexible data analytics and visualization dashboards and custom business reports.You create a powerful foundation for better contextualised information. 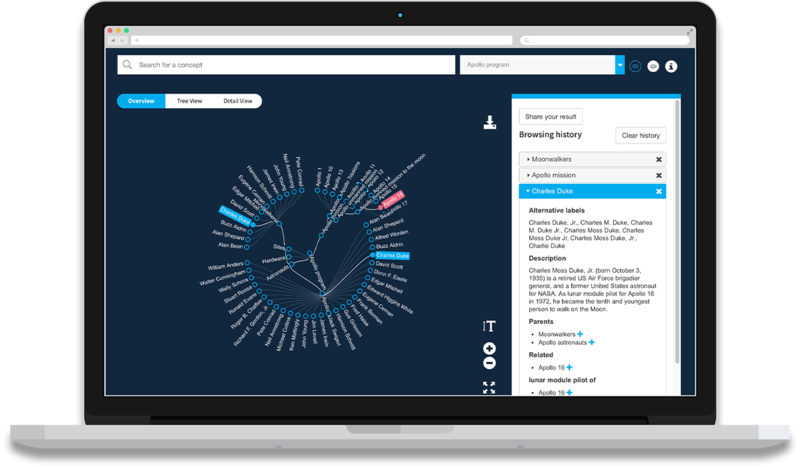 The PoolParty Semantic Platform provides an extensive feature set: generate insights from structured and unstructured data from different sources and in virtually any format. Selected data will be transformed into RDF graphs following the rules you define in your ontologies and taxonomies. The analytical options are endless through the power of SPARQL, the W3C standard for querying and analyzing knowledge graphs. PoolParty is a highly reliable solution. It is a technology suite designed for intense data work at both the front end and the back end. 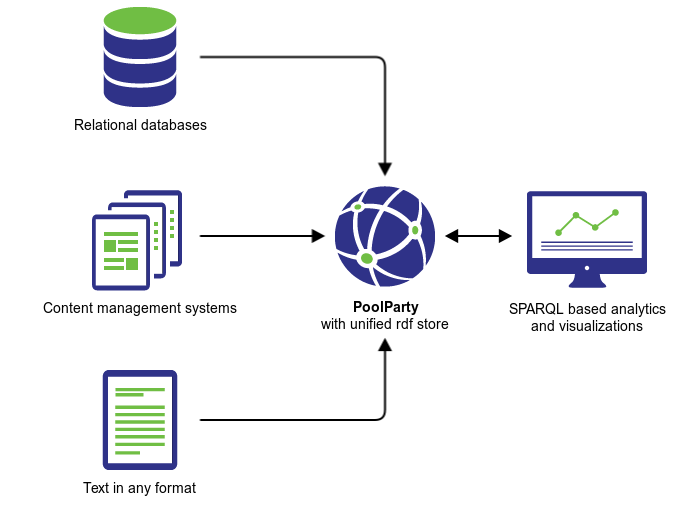 Using PoolParty you avoid the danger of being entangled in a resource-intense data migration project. By applying metadata and storing it in a NoSQL database, you start fast and safe with your data-driven agenda. The Future of Data Visualization? Take a Look at Our Visual Mapper!